RDC is the commercialization arm of Rafael Advanced Defense Systems, in a full partnership with Elron Electronic Industries (TASE: ELRN). Our core business is the commercialization of high value civilian technologies based on defense technologies developed by Rafael, with the financial backing of Elron. Founded in 1993, RDC has established and sold a number of successful hi-tech companies in a wide range of disciplines. technologies for high-growth civilian markets. RDC and its portfolio companies benefit from the unique synergy between its two parent companies. Rafael offers an immense ‘brain trust’, powerful R&D infrastructure, and knowledge base, which help in setting the foundation for future growth and success on an international level. Elron provides strong financial backing and extensive expertise in all aspects of establishing and developing profitable high-growth companies. Its vast international business experience provides RDC’s companies with a significant competitive edge in their respective fields. RDSeed, our fully-owned subsidiary, invests primarily in cybersecurity and enterprise software start-ups. Elron Electronic Industries Ltd. is a leading Israeli holding company dedicated to building technology companies, primarily in the field of medical devices. Elron’s holdings currently include a diverse mix of companies in fields such as microbiology, stroke care, age-related macular degeneration, heart failure, and orthopedics. Elron continues to seek new investment opportunities in seed, early, expansion and mature stage med-tech ventures. Rafael Advanced Defense Systems Ltd., one of Israel’s largest defense companies, develops and produces state-of-the-art naval, air and land systems for the defense industry. The company provides innovative solutions at the leading edge of global technology, with areas of expertise including secure communications and cybersecurity. Rafael is best known for developing the “Iron Dome,” the world’s most effective Anti-Missile Air-Defense System. Given Imaging (NASDAQ: GIVN), established by RDC in 1998, revolutionized the field of gastrointestinal (GI) imaging with the invention of video capsule endoscopy. Today a world leader in GI medical devices with a range of innovative options for visualizing, diagnosing and monitoring the digestive system, the company’s core technology was based on real-time image processing technology developed at Rafael. 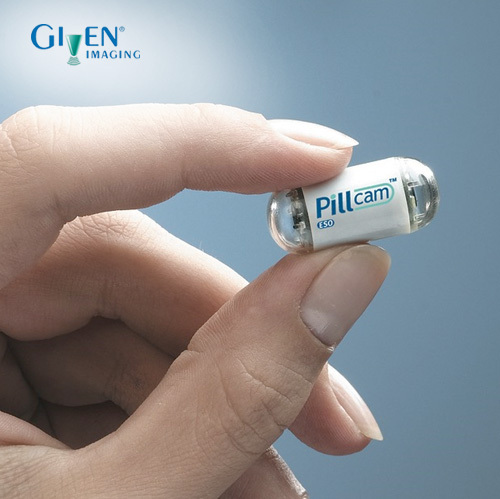 Given Imaging’s flagship product, the PillCam®, is a disposable, miniature video camera contained in an ingestible pill, for direct visualization of the GI tract. To date, more than 2 million patients worldwide have benefited from the use of the PillCam. Given Imaging was acquired by Covidien in 2014 for approximately $1 billion. 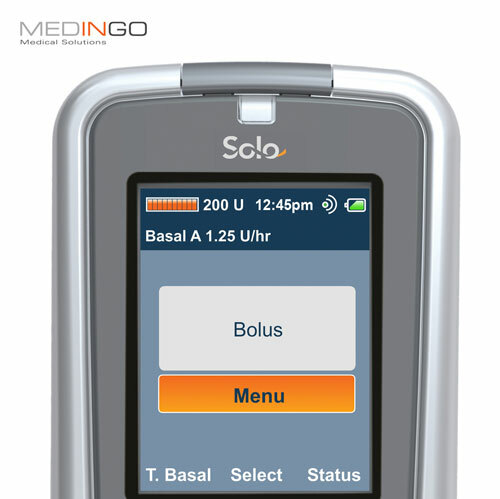 Medingo, established by RDC in 2005, developed the Solo™ Insulin Micro-Pump, a miniature, tubeless, stand-alone insulin infusion device combined with a remote control for personalization of pump parameters to the patient's needs. The company’s core technology was based on Rafael’s capabilities in mechanical miniaturization and special materials. Medingo was acquired by Roche Diagnostics in 2010. 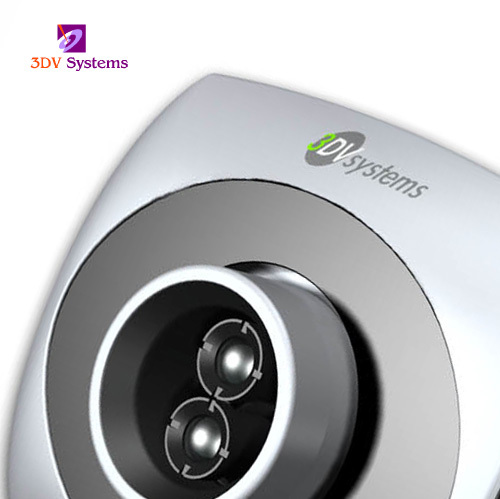 3DV, established by RDC in 1997, developed three dimensional image sensor chip sets and cameras that capture objects in 3D, enabling users to control personal space through intuitive body gestures. The company's breakthrough video imaging technology enabled video cameras to capture the depth dimension of objects in real time, high speed and very high resolution for the video gaming and PC webcam markets. 3DV was acquired by Microsoft in 2009. OpenLegacy: Revolutionizing legacy modernization, by offering independence from expensive vendors and eliminating high costs & risk. OpenLegacy’s platform dramatically simplifies the digital transformation process by generating APIs in minutes rather than months. Pocared: Rapid and automated microbiology lab system for infectious diseases diagnosis. Pocared’s system is based on a technology for automatically identifying bacteria in body fluids, by identifying their optical “fingerprint”. SecuredTouch: Real time identity verification for mobile apps and websites. SecuredTouch’s technology profiles users based on their physical behavior with touchscreen devices, allowing for seamless and persistent identity verification. IronScales: Protecting enterprises from spear-phishing attempts. A gamified training program builds employee awareness and responsiveness. When a phishing attack is reported by employees, an automatic response is immediately executed. Lirhot: The next generation of visual perception systems for robots. Lirhot’s range of sensors is based on innovative true optical flow and unique image-processing methods, enables robots and autonomous vehicles to see like never before. Cynerio: Ensuring patient safety & data protection by securing healthcare providers’ weakest link – the connected medical device ecosystem. Cynerio provides full visibility into medical device behavior, detects anomalies, and stops potential threats. Kindite: A first-of-its-kind cloud encryption solution designed for the realities of the modern cloud economy. Kindite’s platform opens up the cloud for enterprises and regulated organizations, overcoming risks of privacy, compliance and control. N-Drip: Developing a gravity micro-irrigation system that utilizes existing flood irrigation infrastructure to provide efficient drip irrigation. OzCode: a visual and insightful Debugging-as-a-Service (DaaS) tool that cuts debugging time by half so developers can concentrate on crafting high-quality code. At RDC, we're committed to turning proven defense technologies into commercial products for the advancement of mankind. As an incubator, business development, and holding company all in one, we invite you to “join forces” with us to achieve our mission.